Influenza season is upon us, with an estimated 6-7 million people in the US sickened during 2018-2019, including up to 84,000 individuals requiring hospital care. Hospitalization marks the likelihood of adverse outcomes, including death. Vaccination remains the best defense against flu. Influenza vaccines are safe and recommended by the CDC annually for all individuals over 6 months. In addition to protecting against flu, vaccines also lessen the severity of illness, decreasing the risk of hospitalization and death. Flu vaccines are particularly critical for protecting children, older adults and individuals with vulnerable health. It’s not too late to receive a flu vaccine this season. A National Nurse for Public Health would lead in disease prevention and management to decrease the effects of influenza on the community. Nurses are trusted leaders in hygiene, safety and disease prevention, perfectly positioned to work alongside other health professionals on flu prevention. Join the National Nursing Network Organization in preventing flu: get a vaccine, wash your hand and stay home when you are sick. Check out the CDC for more tips on flu prevention. 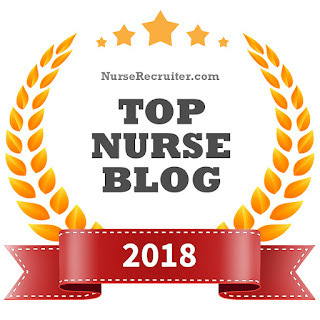 The National Nursing Network Organization (NNNO) is excited to be featured as a Top Nurse Blog in the area of “community, non-profit and advocacy” at NurseRecruiter.com. We’re proud to be highlighted among best blogs written by and for nurses at Nurse Recruiter. The NNNO blog shares the momentum of the National Nurse Act, celebrates nursing leadership in public health, and features news exploring the health and wellbeing of our nation. We’re especially proud that NNNO blog posts come from our all-volunteer grassroots Board and Advocacy Team. Please join us in support of a National Nurse for Public Health. Check out our blog follow us on Facebook at “National Nurse Campaign” and on Twitter @aNationalNurse, and don’t forget to share our social media with your friends. Thanks to Nurse Recruiter for highlighting the work of the NNNO and nurses across our communities in Top Nurse Blogs.